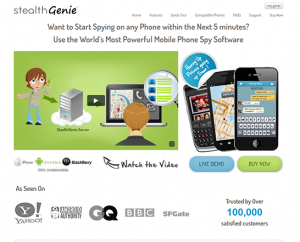 A Pakistani CEO was arrested last Tuesday for allegedly selling and marketing “StealthGenie”, a mobile application that enabled users to tap and monitor into someone else’s phone calls, texts and online browsing — all without the other person’s knowledge, authorities said. monitor and track messages sent and received via WhatsApp and iMessage on the target phone along with the chat details like the names and time & date stamps. Any multimedia content that is shared using these apps would also be accessible. “The customers love it as they can really monitor their loved ones from every aspect. They asked for it and we delivered.”, Eugene Schmidt, the manager of services at StealthGenie. 31 years old CEO of InvoCode Pvt, Ltd, Hammad Akbar was indicted with conspiracy, sale of a surreptitious interception device, advertisement of a known interception device and advertising a device as a surreptitious interception device.